Nike Thurn, “Falsche Juden”: Performative Identitäten in der deutschsprachigen Literatur von Lessing bis Walser (Göttingen: Wallstein Verlag, 2015), 575 pages, 49.90 €. The most prominent “false” or “fake Jew” in the contemporary German-speaking world is perhaps Binjamin Wilkomirski, whose published recollections of surviving the Holocaust were exposed as fraudulent in 1998 and have since spurred their own archive of criticism. As someone who performed Jewish identity, he appears early on in the introduction to Nike Thurn’s “Falsche Juden”: Performative Identitäten in der deutschsprachigen Literatur von Lessing bis Walser [“False Jews”: Performative Identities in German Literature from Lessing to Walser], and his real-world example aptly illustrates how much is at stake in this study of the performance of Jewish identity in German-language literature since the Haskalah. Thurn’s careful selection of diverse literary figures shows that performing Jewish identity is, in fact, not primarily about whether these characters are Jewish by anyone’s standards. Rather, by charting the long historical arc of these performances, Thurn’s work exposes what the standards of Jewishness have been for German-language writers, audiences, and critics, and how they have been used and abused. Put differently, Thurn’s analysis maps the perceived markers of Jewishness that have made Wilkomirski’s passing possible in the first place. In this quest for perceived Jewishness, the book distills three typical markers that work across literary genres: ‘Jewish’ names, ‘Jewish’ language, and ‘Jewish’ bodies. The single quotation marks surrounding the terms Jewish and Jewishness throughout the volume signal that these are “virtual” markers, since “Niemand verhält sich ‘jüdisch’, sieht ‘jüdisch’ aus, spricht ‘jüdisch’, sondern bedient allenfalls diesbezüglich bestehende (kulturelle, historische etc.) 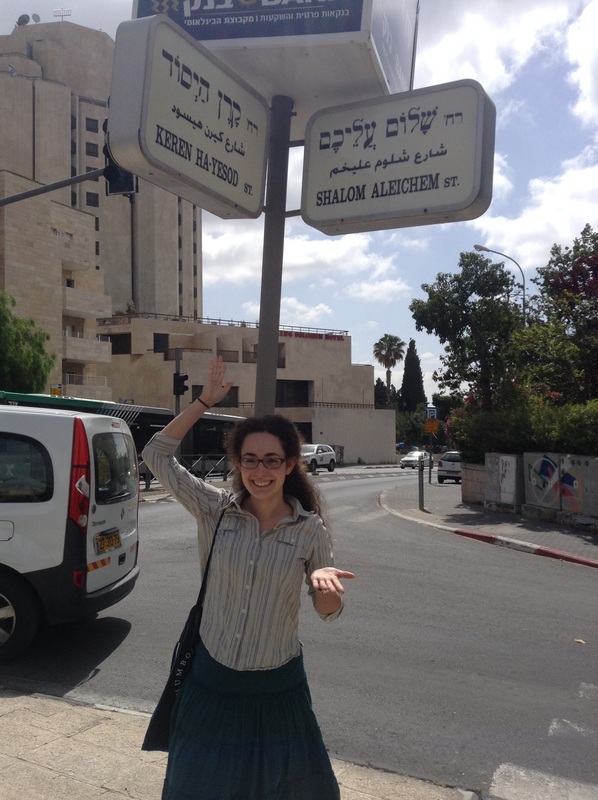 Klischees” [Nobody acts ‘Jewish,’ looks ‘Jewish,’ speaks ‘Jewish,’ but, at best, serves existing (cultural, historical, etc.) clichés] (22, note 35). This distinction, though it might just as well appear in an English-language volume, is perhaps all the more important in a German publication about Jewishness, which comes with its own set of challenges that Thurn navigates with great success. The level of detailed explanation of the analytical toolkit of the book—dedicating entire chapters to concepts such as identity, allosemitism (both philo- and antisemitic forms of Othering), and passing—speaks to a need for laying the groundwork of these discourses carefully and at length in German-language scholarship. Since the book is the result of a doctoral dissertation in Germanistik, this seems to suggest that the concepts and terminology of Jewish studies have yet to arrive more fully in the German academic mainstream. The volume’s main theoretical apparatus, bibliography, and terminology confirm that the site of its conceptual intervention is primarily in North America. Falsche Juden provides informed explications of this body of scholarship, which makes the book both an important German-language introduction and contribution to recent debates in Jewish studies as well as race and gender studies. The distinction between virtual (i.e. perceived/constructed) and actual markers of identity is of foundational importance in Thurn’s analysis of language, names, and bodies since it allows her to focus on the virtual side of these complex ideas. Perhaps most relevant for Yiddish studies is Thurn’s analysis of Jewish language, which she conceptualizes as “Literaturjiddisch” (128), a term that, rather than denoting literary Yiddish, describes an artificial language construct used by authors to mark the speech of figures in German-language literature as ‘Jewish.’ She draws this term from Matthias Richter, who analyzes the form and function of Yiddish and Literaturjiddisch in German-language texts between 1750 and 1933 in Die Sprache jüdischer Figuren in der deutschen Literatur [The Language of Jewish Figures in German Literature]. Yet while this decoupling of the virtual and actual realms prevents the reification of allosemitic stereotypes, it prompts a concern about some unintended side effects of calling the virtual language Yiddish. 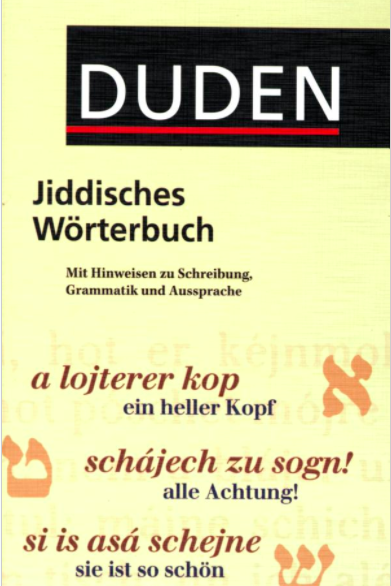 Since Literaturjiddisch consists of a limited number of phrases and modified phonetic or grammatical patterns (such as dependent clause word order and vowel changes) that are supposed to “sound Jewish” to German readers, it is not actually Yiddish, but a type of German that is different enough from the speech of other characters that readers have to notice its deviation. This, however, can turn any grammatical peculiarity into ‘Yiddish’ and sometimes leaves it indistinguishable from the rendering of German dialects on the page; in short, it can make actual Yiddish disappear—not only through its transliteration or displacement from literature, but also through its appropriation, in which popular Yiddish phrases begin to be coded as German over time. The disentanglement of virtual Yiddish from actual Yiddish strengthens three interlocking, longstanding, and problematic developments in the German post-war reception of Yiddish that have had the effect of effacing its character: first, Yiddish is often falsely assumed to be written in the Latin alphabet due to its largely transliterated life in German literary texts, which leads, secondly, to the misunderstanding that Yiddish is German, albeit “wrong German” that any German can read and understand, which, lastly, leads to the perception of Yiddish as a dialect of German that makes it appear as a low, emotional, and everyday deviation from the high German standard (Hochdeutsch) rather than a culture with its own literary traditions, dialects, and modulations. 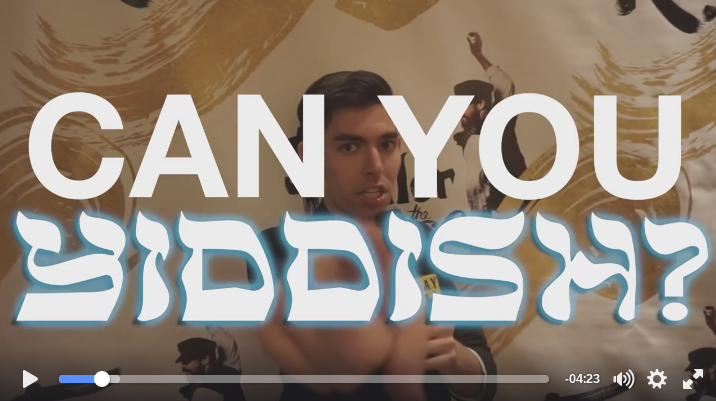 Together, these misconceptions contribute to the notion that Yiddish has forever been on the verge of disappearing, classifying it as a dead language even during its heyday. While Thurn does not promote any of these ideas and makes sure to highlight the normative illusion of standard language in the context of Hochdeutsch, the use of Richter’s concept of Literaturjiddisch does little to deflect or correct these issues, which demonstrates how urgently well-researched German-language work like hers is needed to correct misconceptions not only about virtual but also actual Jewish identity. The book’s careful analysis of what is said, how it is articulated, and what is left out by the figures performing Jewishness in 250 years of German literary production leads to many substantive results that will be relevant to Germanists, scholars of (German-)Jewish studies, and Yiddishists, who will gain insights into the imagination surrounding Yiddish and its representation at various historical junctures in Germany. Aside from the detailed parsing of relevant contemporary theory, the greatest strength of Falsche Juden is certainly the plethora of literary examples it cites and analyzes. In addition to well-known works one would expect, such as Lessing’s Nathan the Wise, Frisch’s Andorra, and Hilsenrath’s The Nazi and the Barber, Thurn presents many lesser-known texts, figures, and passages, ranging from Mynona’s Operated Goy to Pohl’s Beautiful Stranger, which highlight both the ubiquity and diversity of scenarios in which the performance of Jewishness plays a central role. Whether these figures are inadvertently ascribed a Jewish identity or assume it purposefully, whether they are actually Jewish or not, the question of their perception as Jewish in these texts is inextricably coupled with notions of power, belonging, and violence—both before and after Auschwitz. Thurn’s discussion of Oskar Panizza’s The Operated Jew (1893), for instance, shows that the idea of Jewish assimilation has been embedded in a paradoxical “Widerspruch zwischen der einerseits behaupteten chamäleonhaften Anpassungsfähigkeit ‘der Juden’ und dem gleichzeitigen Verlachen ihrer Unveränderbarkeit” [contradiction between the purported chameleon-like adaptability of ‘the Jews’ on the one hand and the simultaneous ridicule of their immutability] (243). The main figure of Panizza’s text is imbued with exaggerated markers of Jewishness in name, language, and body that stand in the way of his acceptance into late nineteenth-century German society. His attempt to alter his appearance through a series of gruesomely violent operations is only temporarily successful, suggesting that it is ultimately impossible to change how he is perceived and, by extension, where he belongs, which renders assimilation an exercise of power. While Thurn’s emphasis on the physical aspect of the story is familiar from the work of Sander Gilman and others in the American academy, she supplements her close reading of the original German text with careful attention to its extended context and reception, which allows her to show that the most central component of this narrative is the ambivalence of whether it is enacting or exposing antisemitic patterns. Assembling such a large catalog of variations on the theme of Jewish identity in German-language literature is a testament to the importance of Thurn’s book, which it owes precisely to its focus on performance, rather than authenticity in the figures coded as Jewish by their authors and perceived as such by their audiences. What being Jewish means must consequently remain unanswered; rather, Thurn’s study raises productive questions about the underlying principles and overarching effects of perceiving and performing Jewishness. From the well-written analyses in the book emerge historical, cultural, and literary nuances of playing with the assumption of authenticity that is inscribed in names, language, and bodies. As Kerry Wallach’s brand new monograph Passing Illusions: Jewish Visibility in Weimar Germany elucidates with a particular focus on the gendered aspects of passing, these seemingly stable markers are, however, precisely the components that are freely altered in the performance of identity. 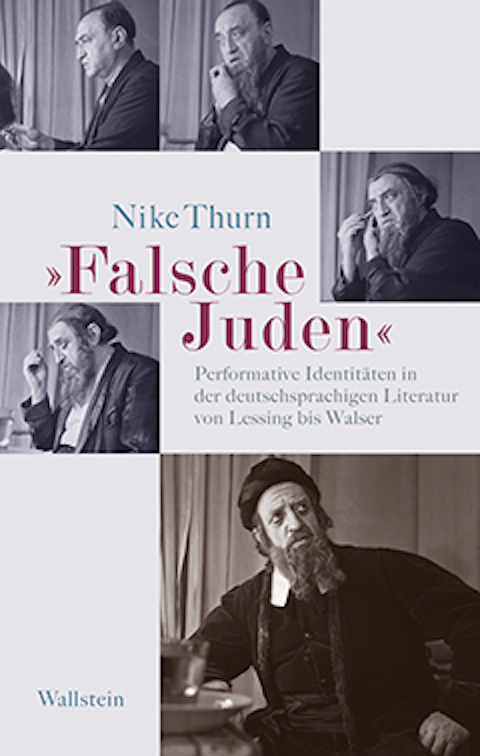 Whether the paradoxical instability of markers of identity results in fear or freedom, Nike Thurn’s Falsche Juden makes clear that the mechanisms of performing and perceiving Jewishness are always allosemitic. Jacobs, Joela . ““Falsche Juden”: A Study of Performative Identities in German Literature.” In geveb, October 2017: https://ingeveb.org/articles/falsche-juden. Jacobs, Joela . ““Falsche Juden”: A Study of Performative Identities in German Literature.” In geveb (October 2017): Accessed Apr 21, 2019. 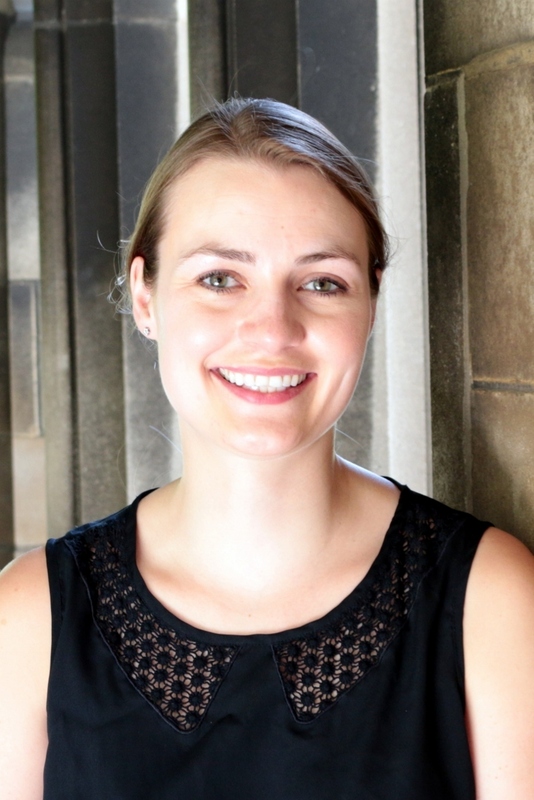 Joela Jacobs is an assistant professor of German at the University of Arizona.